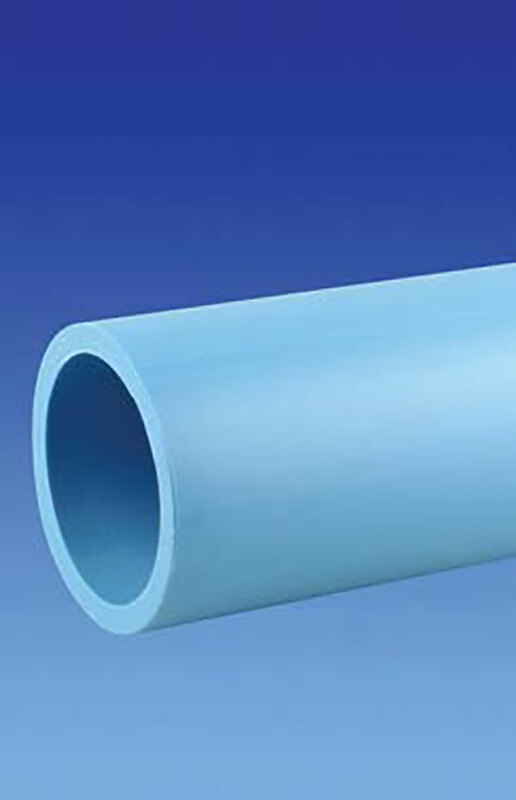 JDP supplies in depth stocks of blue potable water pipe, for below ground use, medium density polyethylene (PE80) service pipes, in sizes 20 to 63mm for house building service connections. For sizes 90 to 1200mm please refer to the Civil Engineering and Utilities product specifier. The current practice in the UK is to lay service pipes at 750mm cover, measured from the pipe crown. The width of the trench should be the minimum of pipe O.D. plus 250mm to allow for the correct compaction of sidefill. The location of cables and pipes from other utilities should be identified prior to excavation. Polyethylene may in some instances be laid directly onto the trimmed trench bottom where the soil is uniform, fine grained and free from large stones and flints. In other cases the trench should be excavated to a depth to allow for a minimum 100mm bed of gravel, crushed stone or coarse sand. A sand/gravel mix is also acceptable, provided the gravel is less than 20mm in size. Further details on bed and fill materials are given in WIS 4-08-01. Polyethylene is a flexible material and can deform under load without damage. It is however, important that any deformation is minimised and that the placement of the correct sidefill and initial backfill materials is carried out correctly with adequate compaction. A minimum 100mm cover should be placed above the crown of the pipe, with heavy compaction equipment not being used with less than 300mm cover. Backfilling can then proceed in 300mm layers. Trench reinstatement in highways is covered in the NRASWA "Specification for the Reinstatement of Openings in Highways", 1992. This code was introduced with the aim that all highway reinstatement is completed as soon as possible to a consistent prescribed performance criteria. Trench backfilling should commence as soon as possible after pipe laying to give the pipe protection from damage from objects possibly falling into the trench. To protect the pipe from potential future interference damage it is good practice to install a marker tape 300mm above pipe crown. Marker tapes can also include a tracer wire to allow future identification of the pipeline.